#NCBD 10/31/18: HCF's 5 Comics for New Comic Book Day! Every Wednesday is New Comic Book Day (#NCBD) in comic book shops, where new comics release hit the shelves of comic book shops for eager fans to pick up and purchase. We've highlighted five comics that are perfect recommendations for any Halloween ComicFest fan looking to get into spookier, Halloween-like comics! 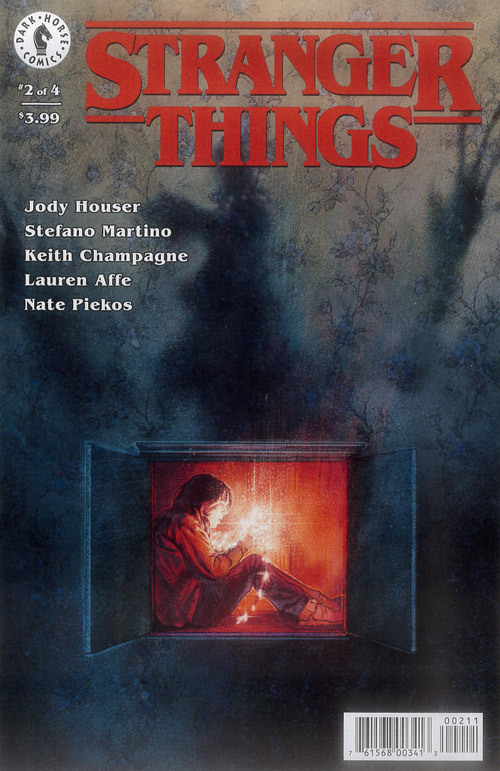 In this week's list, for books coming out 10/24/18, there's definitely something for everyone: Epic thrills and ghastly horror awaits in Avengers: Halloween Special, Will Byers isn't the only one that wants to break through to the other side in Stranger Things, Victory Crowley returns to terrorize comics in Adam Green's Hatchet, and more! What will you be picking up this week? Let us know over Facebook or Twitter! “BAD EGG” Serving as both a stand-alone story in the WYTCHES world and a prequel to the highly anticipated WYTCHES, VOL. 2, “BAD EGG” tells the story of Seb and Jackson—two innocent teenagers reared on opposite sides of the eternal struggle between good and evil. Sebastian’s mother is a member of “The Irons,” the most ruthless Wytch hunters in history, while Jackson’s family are “High Horn” Wytches. Can these two boys find friendship amidst this age-old blood feud, or are their fates already sealed? Collecting the entire IMAGE+ magazine run and, for the first time, the 13-page, pulse-pounding conclusion plus extra materials, WYTCHES: BAD EGG reunites the Eisner-award winning duo of SCOTT SNYDER and JOCK in a horror-filled romp just in time for Halloween! Epic thrills and ghastly horror awaits in these all-new twisted tales! Spanning the breadth of the Marvel Universe, through the macabre lens of a murderer's row of writers and artists assembled here, see your favorite heroes and villains as you've never seen them before! Stuck in the mysterious Upside Down, Will Byers is cold, scared and starving. He uses his last bullet to temporarily drive away the Demogorgon. Drawing on lessons learned from D&D, Will hunts for food and supplies to prepare for whatever lies ahead. After discovering he can affect the lights in his family home, brief excitement turns to terror when he realizes he isn't the only one that wants to break through to the other side. o Written by award-winning comics veteran Jody Houser (Faith, Orphan Black, Mother Panic). o Based on Will's unseen journey during season 1 of hit Netflix show Stranger Things. This exciting weekly series explores the hidden corners of the Star Wars universe and features Rebels stars Hear, Kanan, and Chopper; Obi-Wan Kenobi and Count Dooku; Han Solo and Chewbacca; the Ewoks; and of course, Darth Vader -all under the shadow of Vader's Castle! Covers by Eisner-winning artist Francesco Francavilla! Collect all five! Featuring your favorite Star Wars characters in classic spooky stories! Victory Crowley returns to terrorize comics in a brand new comic series! In 2006 filmmaker Adam Green released a new American horror movie that paid homage to his favorite monsters. The movie was Hatchet and it told the story of Victor Crowley, a deformed child that came back to life as an unstoppable killing machine. Cursed to live out his terrifying last moments again and again, Crowley brutally murders anyone foolish enough to enter his swamp sanctuary. Filled with over the top gore, classic movie monster horror, and a boatload of black humor, this is the ultimate comic for fright fans! This trade collects the first four issues of Hatchet (#0-3) with loads of extra gore and goodies. Go back to Honey Island Swamp to experience the ultimate blood-splattered fun ride!